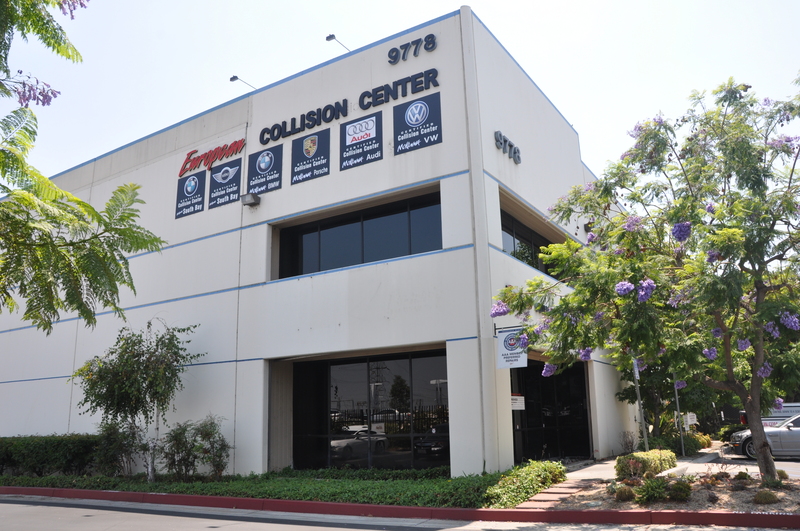 European Collision Center is located at 9778 Firestone Boulevard in Downey, California. We are minutes away from interstates 605, 5 and 105. ECC is open 6 days a week – Monday through Saturday. You can call us for an appointment at 562.345.7000. We specialize in auto body repairs for BMW, Porsche, Audi, Volkswagen and MINI. European Collision Center is located in Downey, California, a suburb of Los Angeles. We specialize in auto body repairs for BMW, Porsche, Audi, Volkswagen and MINI. We service vehicles from Santa Monica and Encino to Ontario and Chino Hills, from Newport and Laguna Beaches, and from Downey, Los Angeles, Norwalk, Huntington Beach, Cerritos, Long Beach, Anaheim, and Santa Ana, as well as other cities in California.